Calling all surfers and water-loving friends! Make it out for the “Full Moon Walk In The Water” on 4/25 in Rockaway. 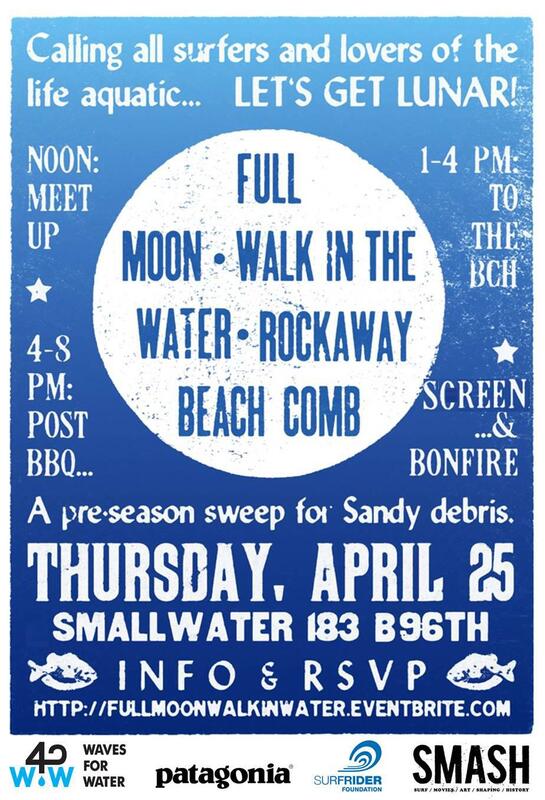 Waves for Water is stoked to link up with their friends at Surfrider NYC, Patagonia, SMASH and Smallwater 96th Street Relief Center to do a pre-season sweep for Sandy debris. Volunteers are needed in the water and onshore and a BBQ, Bonfire and one of a kind Surf Video DJ Set by SMASH will follow.